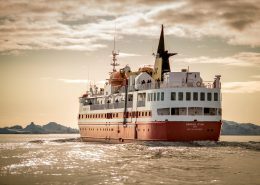 The coastal ship Sarfaq Ittuk sails from southern Greenland up along Greenland’s west coast to Disko Bay. 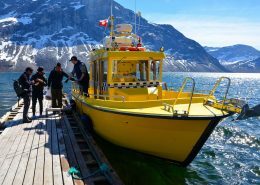 Charter boat trips with Arctic Boat Charter in Nuuk is synonymous with safe, comfortable, and high-speed boat trips along Greenland’s coasts. 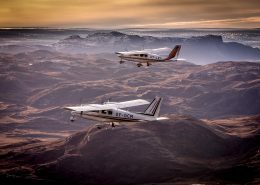 Air Zafari offers sightseeing from the air. 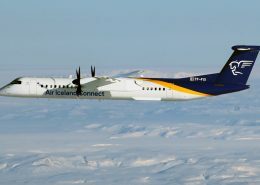 All aircraft have large windows next to each seat – which makes it perfect for photography. 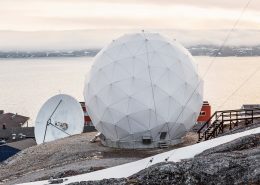 Arctic Umiaq Line is passenger and freight shipping company also known as AUL. 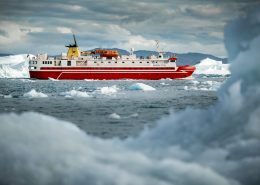 The company runs the ferry Sarfaq Ittuk on Greenland's west coast. 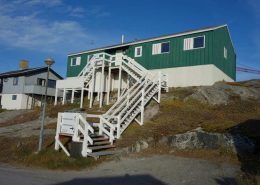 Hotel Apartment in Nuuk is a gorgeous seaside home in the suburb Qinngorput. 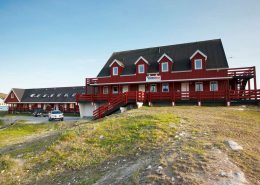 Hotel Hans Egede is a 4-star conference hotel in Nuuk, the capital of Greenland. 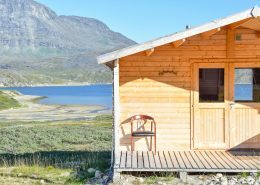 The rooms are of a high standard, each with bathroom and toilet facilities. 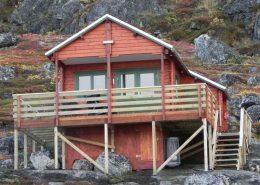 Hotel Ivaana is a cosy family-run hotel in the town centre of Paamiut. In 2009 a new wing was added to the hotel which now has 13 rooms. 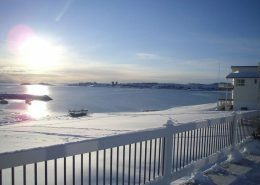 Hotel Nordbo Apartments are large, spacious, newly refurbished hotel apartments in the centre of Greenland's capital Nuuk. 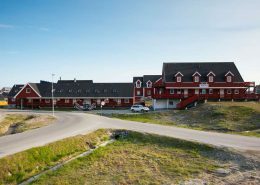 Hotel Nordbo offers you 25 well equipped apartments varying in size at reasonable costs very close to downtown Nuuk. 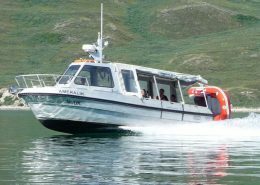 Greenland Water Taxi is tour boat company that was founded in June 2013. 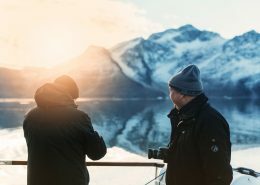 The company organises trips on the water and sails passengers throughout Disko Bay. 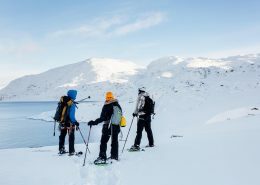 Kangerluarsunnguaq Ski Center is a backcountry experience just 20 minutes by boat from Greenland's capital Nuuk. 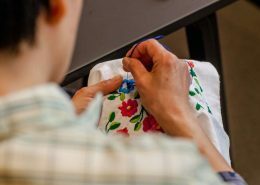 Kittat Economusée is a Greenland Traditional Costume Maker located in the old colonial harbour area in Nuuk. 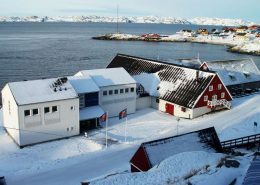 Greenland National Museum in Nuuk has exhibitions that cover all of Greenland’s history during 4.500 years. 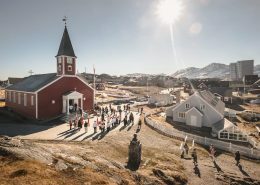 Nuuk Art Museum opened in 2005 in the former Adventist Church at Kissarnerqqortuunnguaq in Nuuk. 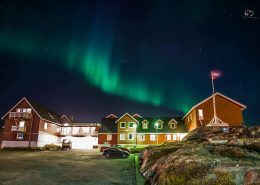 Nuuk Inn and Wellness are cozy hotel apartments with all you need in Greenland's capital Nuuk. 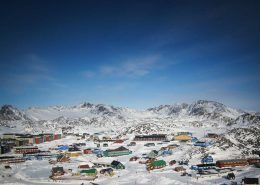 Tupilak Travel offers cheap travel to Greenland, in particular to the country's capital, Nuuk. 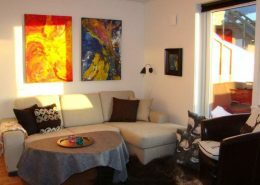 At Sydbo.gl you live in nice apartments of 64 square meters. 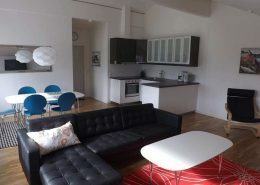 Each apartment has its own kitchen with everything needed to cook. 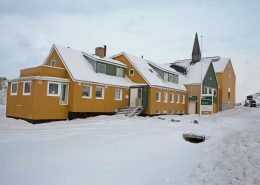 This 3-star hotel in the capital of Greenland has 41 rooms including 4 rooms which are disability-friendly. 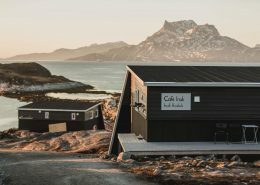 Sarfalik is an innovative restaurant combining the best of Greenlandic and global cuisine. 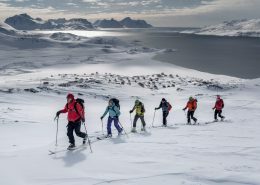 Nuuk Adventure is a mountain guiding services company for individuals and small groups based in Nuuk region (Greenland). 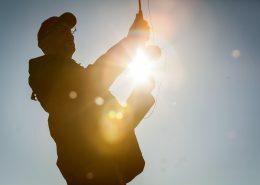 Marc Carreras its main guide and owner. 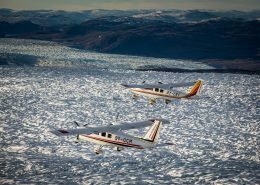 Greenland Escape offer high level service to the demanding traveler in Greenland. 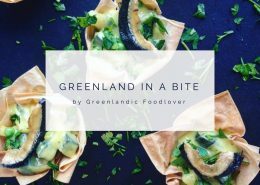 Do you dream of a Greenlandic culinary experience with a personal twist? 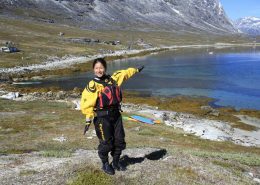 Greenland Waterways offers various experiences on the waterways of Greenland. 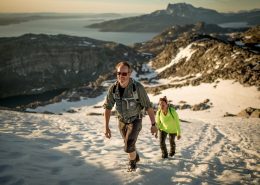 From predictabel shuttle in the Nuuk area to boatcharter and experiences on Stand Up Paddleboards and Kayaks. 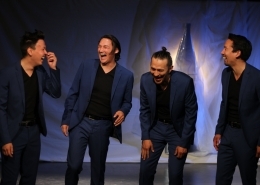 The National Theater of Greenland is an independent, public institution established in 2011. 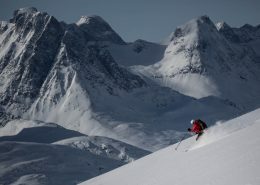 Greenland is the spiritual home of heliskiing. 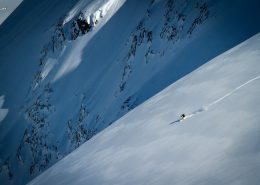 Mountain upon mountain offers first descents in a landscape where glaciers often flow straight from the ice cap to the coast. 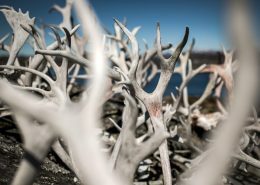 Greenland is the place where even the most seasoned trophy hunters will experience a challenge to their hunting instinct and ingenuity. 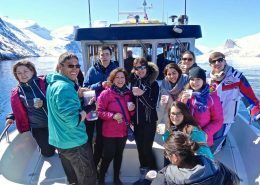 Meet locals and watch the Greenland coastline change from green hills to steep granite peaks on board Sarfaq Ittuk, the only coastal ferry in Greenland. Close your eyes and breathe in. 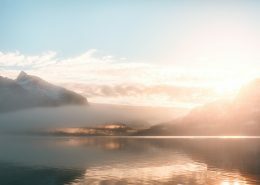 A fresh wind gently blows in your direction. Want to experience the locals summer favorite? 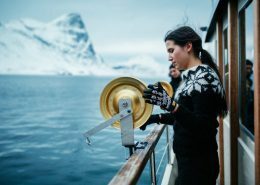 Sail the Nuuk fjord. 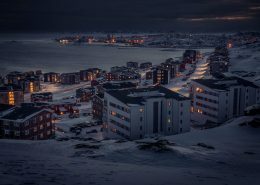 Greenland’s capital Nuuk is big enough to sport a large street culture scene which adds depth and dimension to everyday life. 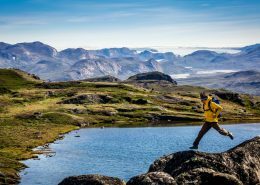 Nuuk is this tiny Arctic capital where you’ll find age old tradition living amongst World-class modernity. 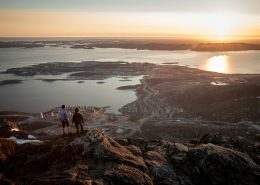 Visit Nuuk and see for yourself. 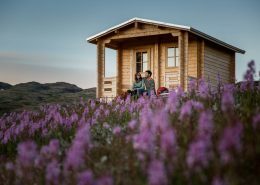 A story about a weekend getaway to the Qooqqut Music Festival. 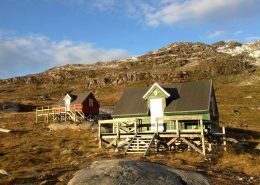 Greenland consists of five vastly different regions, each with its own main town and it makes good sense to spend at least a couple or four days in the town - an 'illoqarfik' in Greenlandic. 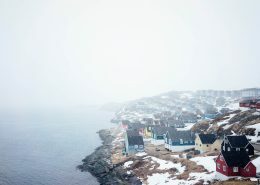 Check out the everyday essentials of the hip, powerful and avant-garde in Greenland. 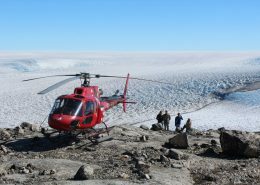 This #whatsinmybag - Greenland edition! 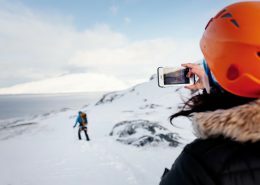 A tale of working on remote mountains and being snowed in for days. 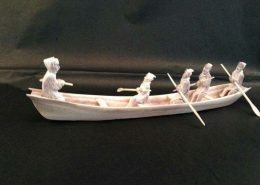 On being lost to the world - all for the love of staying connected. 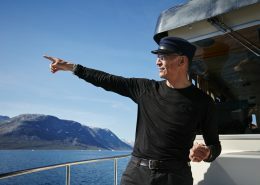 Captain Erik Palo Jacobsen is a former Merchant Marine from Sisimiut, who has sailed around the world only to realize that his home in Nuuk is where the heart is. 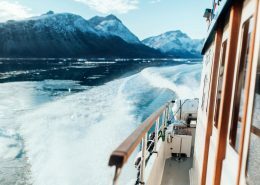 In warmth and good company, cruise through mountainous landscapes covered with snow from peak to sea. 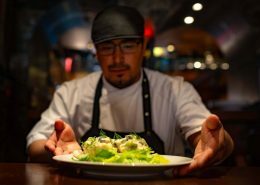 “Local food, local food, local food” is the mantra of Inunnguaq Hegelund, the master chef of Kalaaliaraq. 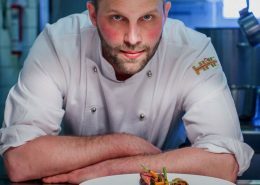 Hegelund is here to transform the restaurant scene in Greenland. Thinking about getting married? 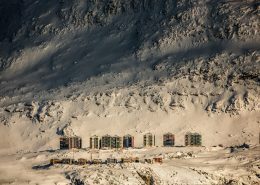 Then Sisimiut is amazing. Hotel Sisimut offers customized and adventurous marriage ceremonies. 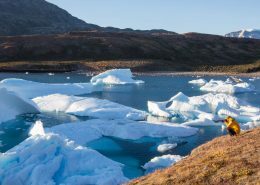 When you embrace the authentic adventure of expedition travel to Greenland, you can experience the wildlife, the landscape, the past and the present—all in one trip.